Play-Based Interventions for Children and Adolescents with Autism Spectrum Disorders explores the most recognized, researched, and practical methods for using play therapy with the increasing number of children diagnosed with Autism Spectrum Disorders (ASDs), and shows clincians how to integrate these methods into their practices. 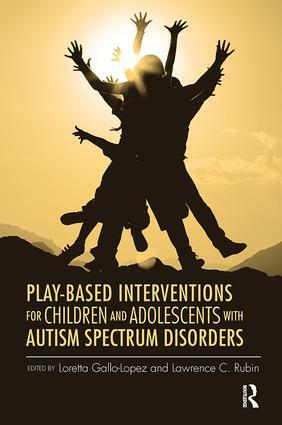 Using a diverse array of play-based approaches, the book brings together the voices of researchers and practicing clinicians who are successfully utilizing play and play-based interventions with children and adolescents on the autism spectrum. It also examines the neurobiological underpinnings of play in children on the autism spectrum and the overall effect of play on neuro-typical and neuro-atypical development. Finally, through careful integration of theory with real-world clinical case application, each chapter also shows clinicians how to incorporate a particular treatment approach and make it a viable and effective part of their work with this challenging clinical population.